If recent weeks have taught us anything, it’s that behind their tanned faces and toothy grins, those happy people who read the news are hiding internal dramas as emotional as anything on the masterful Downton Abbey. 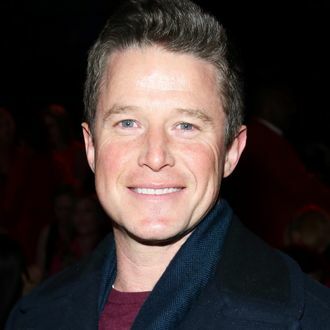 And so, with THR’s report that Billy Bush is leaving Access Hollywod to join NBC’s Today, get ready for months of breathless speculation on exactly what pushed him out the door. (Was he Kardashian’d out? Did someone hang an ironic “Mission Accomplished” banner outside his office?) Or, no one will care. One of the two!